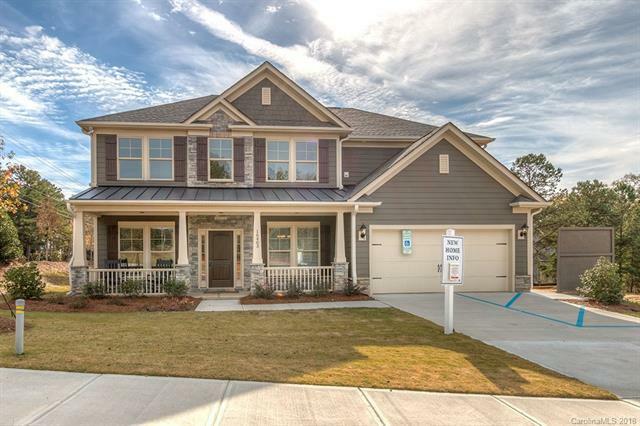 16403 Mckee Ridge Drive, Charlotte, NC 28278 (#3371662) :: Robert Greene Real Estate, Inc.
Builders Model Home For Sale!!! Tons of upgrades!!! Guest bedroom on Main! Great curb appeal with cement board and stone exterior. Full rocking chair covered front porch with stone columns and metal roof. Upon entry enjoy the 5" hardwood floors throughout first floor. Dining room and study with glass french doors and built in bookcases. Open concept from family to kitchen and sunroom. Kitchen boasts granite countertops, large island, stainless steel appliances...including gas cooktop, double oven, built in microwave. Oversized master bedroom with large windows. Master bath features garden tub/separate shower, tile floors, double bowl vanity. Large master closet with wood shelving. Bonus/playroom for additional living area. Must see to appreciate!! !